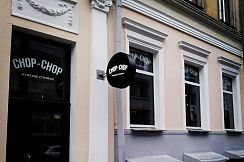 Chop-Chop it’s more than just a barber shop and it’s definitely not a beauty salon. Our barbers are A1 specialists and artists who know how to combine all needed details to create manliness icon. Cosmetics we use – the best and was delivered all over the world. It helps us to honor 300-years old tradition of classic haircuts, beards and saving. Barber in Chop-Chop not only a barber who serves you, he all so becomes your friend. 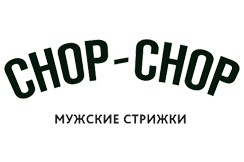 Visiting Chop-Chop is always pleasure and after you would understand what means to be “Our people” – come to barber shop, have an iced Jack Daniels and discuss politics or football. By the way, you should take your son with you. So he would know which places are good to visit since childhood. We recommend you classic haircut because the concept of it passed already decades and still on the top. It would take one hour. Washing your hair twice and styling it using good cosmetic. Or no styling. Up to you. But better pay attention to barber’s recommendations. Wet shave is like a spa procedure in our barber shop. It takes one hour and most of the time you lying in comfortable chair. Barber steams out your face with towel using few different oils, Italian shaving foam which would get to your face using British shave brush and German straight razor. The most magnificent is the way barber uses the razor. In the end you would like not only the result but the whole process when you can relax and enjoy. You better listen to your barber here. He would know which form suits you the most. It all depends on your face type and structure of your hair. It takes 30 minutes. Besides using trimmer and scissors your barber can make beard ending using straight razor. Styling takes 20-30 minutes and it helps to look fresh before your date especially if you after work. Or you can spoil yourself if it’s not time yet for your haircut but you want to visit us. No doubt Berber would make it in the best way using only the best cosmetics. By the way some of t smells better than some parfumerie. This one for people who prefer simple short hair and comfort. It takes 30 minutes and barber works only with trimmers. You can afford beard trim only if you have a beard. So why don’t you do both at once? Not trying to save some money but trust your barber. It takes one hour and a half and would bring you bunch of happiness. Chop-Chop recommends. This haircut can afford boys before 12 years old and it takes one hour. So kid would understand that it’s fun way to spend the time. Isn’t it awesome you boy might have classic haircut just like the boy on our logo. This one for people who likes their beards but haircut should be simple. It takes one hour and in the end you gets manly, rigor and neat result. We know it's important for you to be leading with the progress - same for us. We created an app specially for your phones. You can find it on iOS or Android. No need to call us and spend your time talking. Download, install. That's all. Now you can easily choose any barber, any service, any comfortable time for yourself. Historically, when barber starts to work in Chop-Chop he becomes famous guy in the city. Look yourself: you have a great possibility to talk with a lot of people from absolutely different spheres. After a year people get to know you, greeting friendly in bars, in subway, on a streets. That what means in good company. We are not just giving you a job, we open our doors to you because you one of us. You not only do your job but spending here the most interesting part of your life, everyday opening something new for yourself, always learning from your colleagues. It could be your competition if you want so. Because you would progressing day by day. And, come on, it's pretty awesome when older barber evaluates your fade and happy, smiling face of your client during barbershop connect. Anyway, if you know how to use and scissors together, you have some knowledge and you want be the part of our team - connect us.